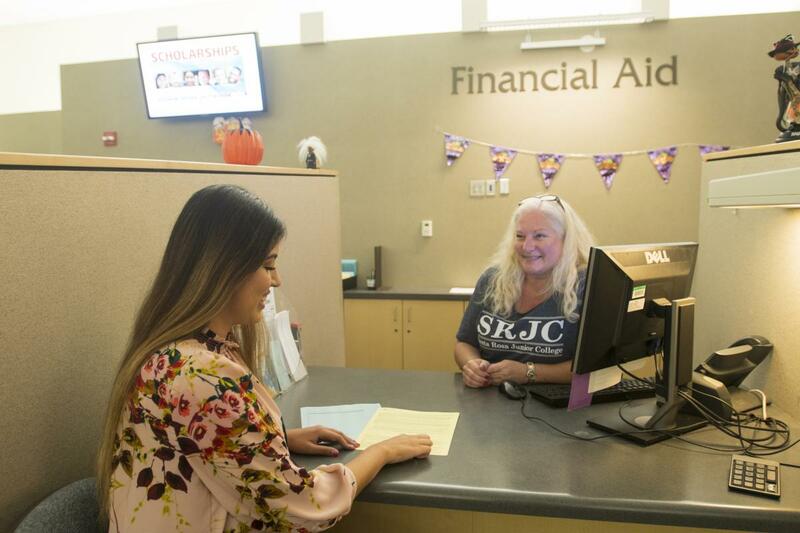 January 28, 2019, Santa Rosa—Santa Rosa Junior College (SRJC) aims to maximize the financial aid its students receive through outreach, education and additional incentives for those who apply. Between Assembly Bill 19 (AB19), the California College Promise, and the SRJC Doyle Scholarship, many students are eligible to be reimbursed for their entire first year of tuition. Students can use this reimbursement to pursue an associate’s degree, participate in a certificate program or obtain the units necessary to transfer to a four-year institution, tuition-free. Director, Student Financial Services Jana Cox said that the biggest hurdle to providing students these funds is getting them to apply. Aid Fun Fair on Thursday, Feb. 7, 10:30am-1:30pm in the Lawrence A. Bertolini Student Center Quad on the Santa Rosa campus. The rain location will be the Girvin Family Student Activities Center. There will be free food, activities and financial aid staff to assist students. SRJC President Frank Chong said that he hopes that these efforts help inform more students that they are eligible for financial aid. In October 2017 the California State legislature passed Assembly Bill 19, known as the California College Promise, which provides financial aid to first-time college students attending a California community college with a full-time course load of 12 or more units, regardless of income. This aid covers student enrollment fees of $46 per unit, for those who qualify. SRJC offers the SRJC Doyle Scholarship, which provides financial assistance to eligible students who graduated from high school in the current school year with an unweighted grade point average of 2.0 or higher. This assistance, totaling up to $1,200 per student is available for eligible students who enroll full-time at SRJC. Doyle Scholarships are funded by the Frank P. Doyle and Polly O’Meara Doyle Trust. Since 1950, more than 127,000 students have received Doyle Scholarships, totaling more than $82 million. These scholarships also have recently expanded to include continuing fulltime SRJC students with a minimum 2.5 GPA. More information on Doyle Scholarships is available at scholarships.santarosa.edu.